Remote Control any pc anywhere in a fast, simple, secure way. ...... Explorer, Process View and Registry View which each have vast and very powerful future sets. Remote Thing is multi-user software which enables you to be in control of who, when, and what type of access users have. We are confident that if you try Remote Thing you'll love it. Connect remotely and work on the remote pc as if you were in front of it with screen, mouse and keyboard. Further Remote Thing is capable of zooming on a specific region or application without disturbing the rest of the screen. Directly work on the remote computers file system without disturbing the user in from of it. Download, upload, execute, rename, move, print, advanced command, attribute change and more. 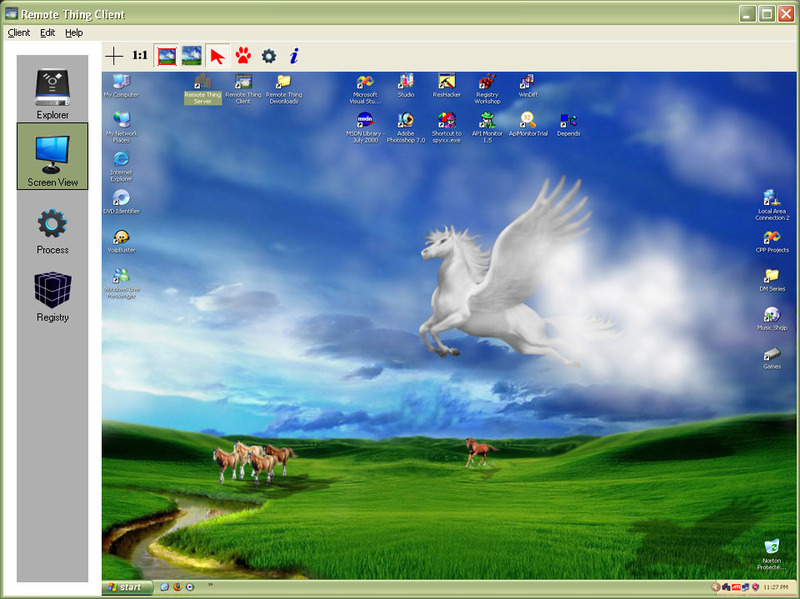 Controlling the running application on the remote desktop is important and that? ?� exactly what remote thing enables you to do. Launch tasks remotely on all your Windows NT/200x/XP computers in a few clicks! Helps you to access your remote computer from anywhere in the world. Send keystrokes & text to any window, macro recorder included. Qweas is providing links to Remote Thing 1.1 as a courtesy, and makes no representations regarding Remote Thing or any other applications or any information related thereto. Any questions, complaints or claims regarding this application Remote Thing 1.1 must be directed to the appropriate software vendor. You may click the publisher link of Remote Thing on the top of this page to get more details about the vendor.